It was to central Edinburgh that a great influx of immigration came. The great potato famine had started in 1845 and progressed into the 1850s. 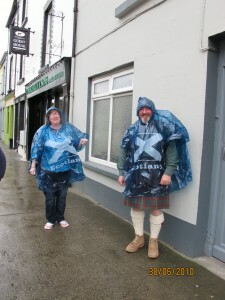 With this came the mass exodus from Ireland of her children. The Grassmarket and Cowgate area in Edinburgh was really no more than slums in the 1850s and it was here that the IRISH mostly settled. 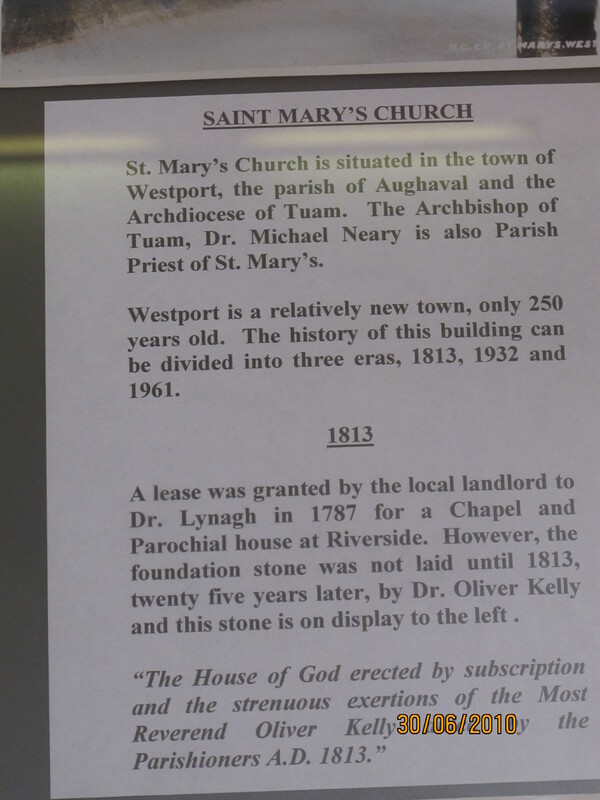 This would have been a great culture shock from the sleepy little town of Westport, County Mayo in Ireland where Edward Stanton had married Peggy Grady on 1l9th January 1844. 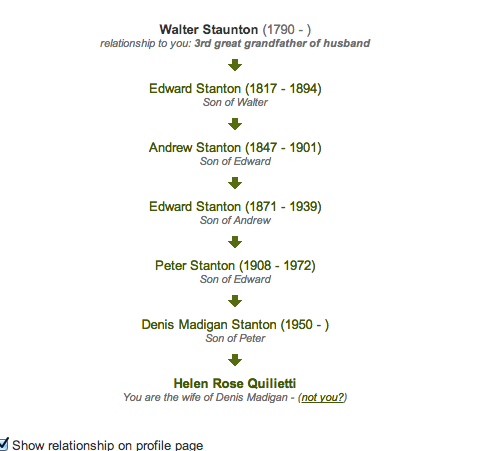 Edward’s father was Walter Stanton born circa 1790 and his mother was Honor Green. 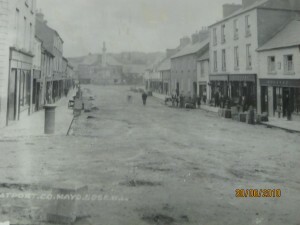 Edward was one of a large family and he was born in 1817 in the town of Westport. His wife Margaret Grady was also from the area. Her dad’s name was Patrick Grady, and her mum’s name was Anne Maguire. They would also have been born circa 1790. 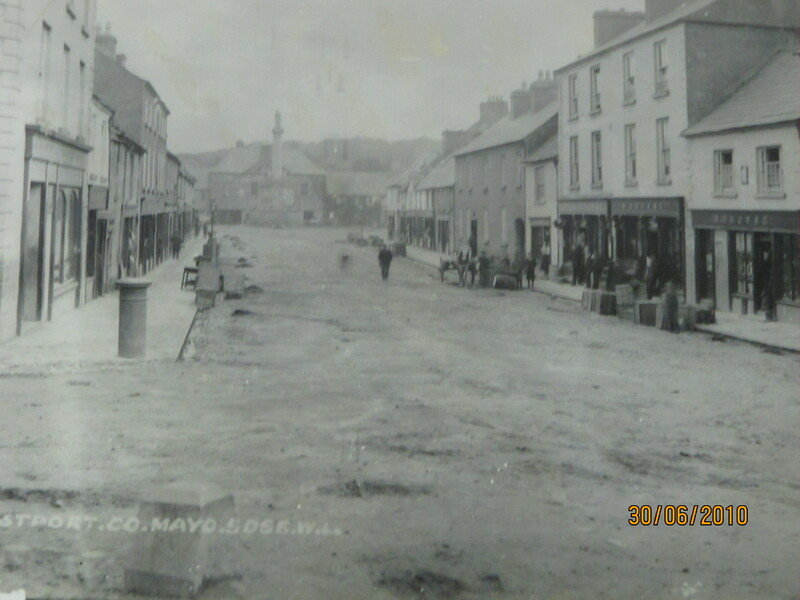 This sleepy little town of Westport with a pub on every corner and the little river running through it would have been very different from the slums of auld Edinburgh. Their first son Andrew had been born in Ireland in 1849. The famine caused the great exodus to Scotland and it was in Edinburgh that their remaining 9 children were born. 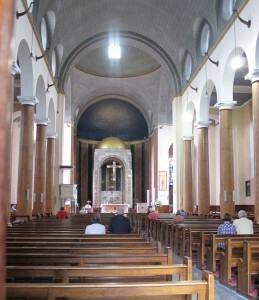 Their adopted church was St. Patrick’s R.C. in the Cowgate, Edinburgh and all their children were baptised here and later married here. To keep the young men out of trouble the young Priest Canon Hannon started a football game where the men could escape from the harsh realities from living in the city. 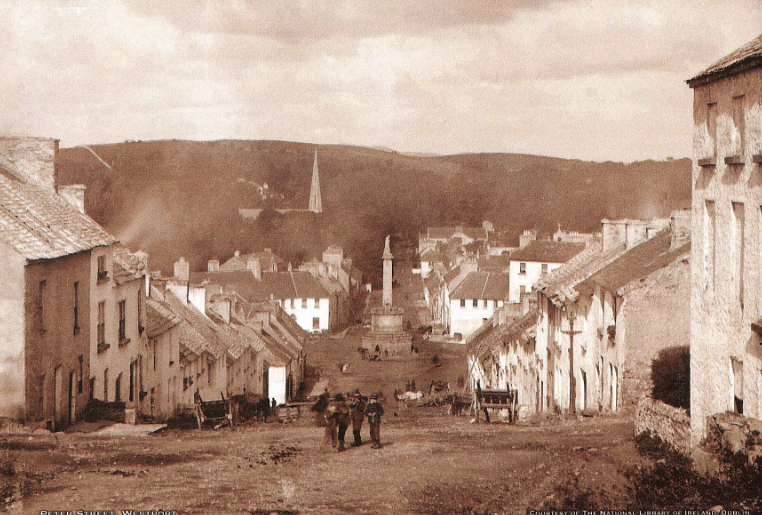 ANDREW STANTON b 1849 – our direct line– marries MARIA WHELAHAN in Edinburgh Cowgate in 1867. PATRICK STANTON – b 1854 – 27 May 1909. Patrick marries Sarah McKay in St. Pat’s in 1880. 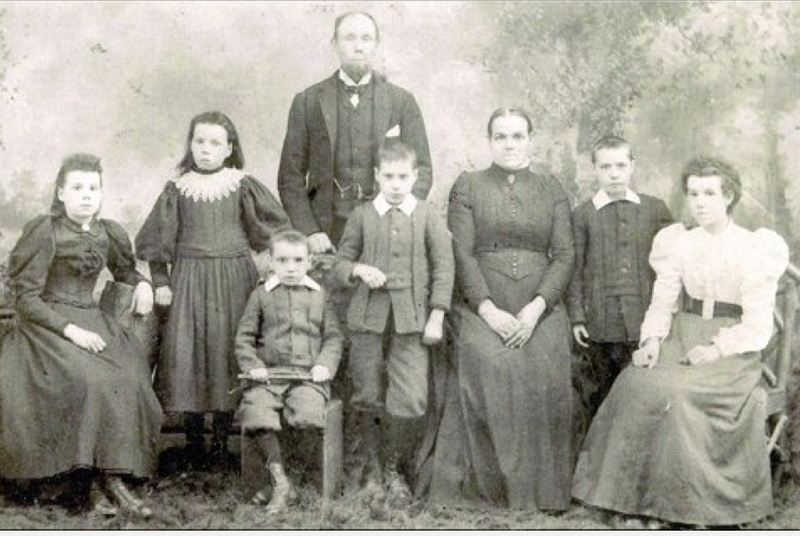 CHILDREN include Edward born 1881, Felix born 1897, Mary born 1886 and Margaret born 1888. ANNIE STANTON b. 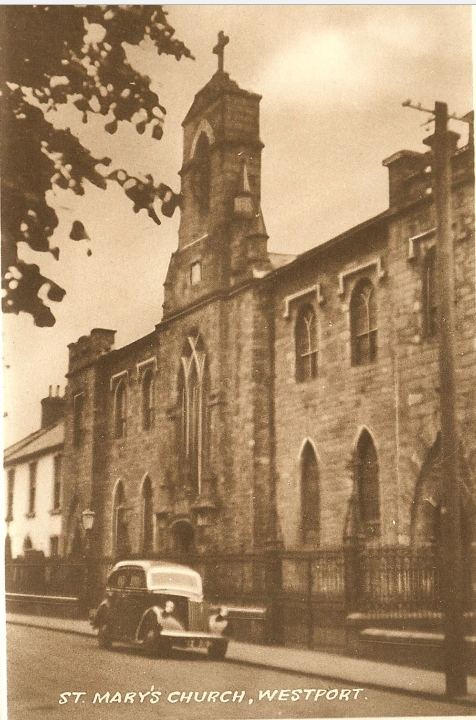 1855 marries Bernard Rynn in 1892 in St. Pat’s Church. MARGARET STANTON b.1862 marries John Brannan in St. Pat’s in 1879. Edward and Margaret at first lived in 5 North Gray’s Close in the Canongate area. Edward described himself as a Farm Labourer in the 1861 Scottish Census. By this time the family had grown to five children , Andrew, born in Ireland and the eldest was a dust carter . Three daughters had been born in Edinburgh, Ann,was born 1851 in Edinburgh. Anna ws born in 1855 in Edinburgh and Margaret was born in 1858 in Edinburgh. Patrick was born in 1852 but was not at their home on the evening of the census. They also had Bridget who was born in 1859 but she died in June 1860. The younger daughters Ann and Anna were also working as stick sellers, their ages only 10 and 7. Life indeed was not good for the family at this time. Still living at 5 North Gray’s Close in the Canongate with son Patrick who was born in 1852, Anna born in 1855, Margaret born in 1862 and Mary born in 1866. Andrew by now had married Maria Whelahan. ON 9th December 1867 at St. Patrick’s Church, Cowgate, Edinburgh the Stanton and Whelahan families were joined. Maria’s family came from Rosscommon in Ireland. Her father was Patrick Whelahan and her mum’s name was Bridget McDonald. Patrick’s parents were Patrick Whelahan and Annie Coyne. Patrick had two brothers Thomas and Peter traced also to Scotland. Bridget’s dad was Thomas McDonald and her mum was Mary Kelly. Like Andrew, Maria Whelahan was also born in Ireland. Patrick Whelahan was born in Edinburgh 1850 but died the next year. Elizabeth Whelahan was born in 1851. Elizabeth survives and shows up in the 1881 Scottish Census living with her parents at 5 College Wynd. Then came Michael Whelahan in 1854. He was born back in Ireland in a place called Kinglass. Michael eventually married Isabella Robertson Grant and they had a large family as detailed below in the 1901 Scottish Census living at 57 Nicholson Street in the south side of the city. The family had travelled back to Ireland briefly but returned sure enough as another two children were born here in Edinburgh. John was born in 1858 but he died two years later. Elizabeth was born in 1863 but died shortly thereafter. MICHAEL STANTON born 20th September 1869. He never married. Michael lived at the Stanton address of 57 Nicholson Street for many years until he died there in 1946. BRIDGET STANTON born 1878. She married Charles Inness and they had two children, Mary and Michael Inness. There was another child who died in infancy. After Charles died during the First World War she remarried to Hugh Davie. WALTER STANTON born 1889 – marries Jessie Anderson – daughters Rosina Dawson Stanton, born 1911 and Mary Whelahan Stanton born 11 Aug. 1914. JOHN STANTON born 1887. John became a butcher. He married Euphemia Watson and they had one son John Watson Stanton who was born in 1924. John lived until 1956. In the 1911 Scottish Census the family with Maria or Mary at the Head was living at No. 2 The Pleasance, Edinburgh. There were still a few of the family residing with her. The family all seemed to work in the Type Foundry where their hours would have been long. MICHAEL INNESS, Grandson, age 4. Whilst Maria was residing her her other son Edward was now resident in the Grassmarket, No. 79, with his wife and family, see further down the page. Catherine MADIGAN was born in Edinburgh at 108 The Cowgate, Edinburgh on 8th November 1875. Her parents were Peter Madigan and Catherine Clark. Peter had married Catherine in 1858 in Ireland. They were also from Rosscommon. His dad was called DENIS MADIGAN and his mum was MARGARET PHILBAIN.- there are still 2 Denis Madigan’s in the family today. Catherine had six siblings Dennis, Thomas, Helen, Peter and Margaret and then another Denis. Catherine married into the Stanton family on 26th July 1894 in St. Pat’s in the Cowgate. She and Eddie lived at first in the Grassmarket area as their father’s had before them. She lived until the 7th January 1956 when she died at her home at 13 Hay Avenue, Edinburgh. The 1911 Scottish Census shows our Branch of the Stanton family still living in the Grassmarket, at No. 79.
about the great grandmother Maria Whelahan washing out the crude strips and socks of the young team. Even now the connections run deep and Stantons have been involved in coaching the youngsters of the team for many years. Pat Stanton is the first-cousin of Denis Madigan Stanton and also one of the ancestors of Edward Stanton and Margaret Grady. Patrick Gordon Stanton (born 13 September 1944) is a Scottish former association football player and manager. He is regarded as one of the greatest ever players in the history of Hibernian. Stanton joined Hibs from Bonnyrigg Rose Athletic in 1963 and made his debut for the club against Motherwell in October that year. He quickly established himself in the first team, playing in defence or midfield. He is the great great nephew of Michael Whelahan, one of the club’s founders and first captain. Stanton captained Hibs to their 1972 League Cup win and also led them in their centenary year, but left the club in 1976 when he was transferred to Celtic in a swap deal that took Jackie McNamara, Sr. to Hibs. It was at the Glasgow club that he completed his medals collection, winning the Scottish Cup and the Scottish League championship. Stanton won 16 caps for Scotland between 1966 and 1974, captaining the side three times. He got his start in management when Alex Ferguson made him his assistant at Aberdeen. After learning the ropes there he was appointed manager at Cowdenbeath, then Dunfermline Athletic, before he returned to Hibs in 1982. His spell in the manager’s chair at Easter Road was unsuccessful and he resigned in 1984. Stanton now works with Hibs as a host at Easter Road on match days. Pat Stanton is the spokesman, as well as a trustee, of the Hibernian Historic Trust. More than 30 years after he retired from the playing side of the game, he remains one of the most popular players ever to have worn the famous green and white shirt. As well as being a distant relative of Hibs first captain, Michael Whelehan, Pat is also a great nephew of Jimmy Hendren, who signed for the club in 1911 from Cowdenbeath, only to die prematurely from natural causes during the First World War, while still in his prime. Born on 13 September 1944, Stanton was signed by manager Walter Galbraith from Salveston Boys Club in 1961, before being farmed out to Bonnyrigg Rose. He made a scoring debut for Hibs in a 4-3 away defeat by Motherwell in 5 October 1963, the first of his 397 league appearances for the club. Quickly establishing himself in the first team, he won the first of his 16 full caps alongside teammate Jim Scott in Scotland’s 3-0 defeat by Holland in 1966. He was a regular member of the brilliant Hibs side of the mid 1960’s, containing players of the calibre of Willie Hamilton, Neil Martin, Peter Cormack, and Pat Quinn, which won the Summer Cup in 1964 under the leadership of manager Jock Stein. As captain of Turnbull’s Tornados, Stanton led Hibs to a historic League Cup Final victory over Celtic in 1972, two Drybrough Cup successes and of course the famous New Year’s Day victory over Hearts in 1973. Once described by Scotland manager Tommy Docherty as a better player than the legendary England captain Bobby Moore, Pat was an automatic first team choice at Easter Road until moving to Celtic in exchange for Jackie McNamara in 1976. At Parkhead, he won League Championship and Scottish Cup medals in his first season, but unfortunately was forced to retire prematurely shortly after due to injury. 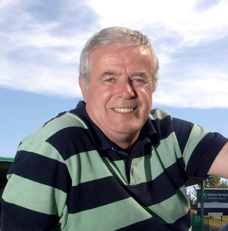 After a short spell as second in command to Alex Ferguson at Aberdeen, Pat eventually became a manager in his own right with Cowdenbeath, Dunfermline, and finally his first love, Hibs. While manager at Easter Road he was responsible for signing several promising youngsters including John Collins, Paul Kane, Mickey Weir and Gordon Hunter, but resigned because of what he saw as a lack of ambition by the board of directors in 1984. He is now to be found as a hospitality host at Easter Road on most match days. 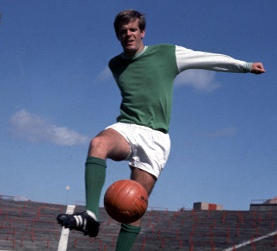 Pat Stanton scored 51 league goals and 25 in cup-ties during his 13 seasons at Easter Road. Stanton family continues in South Africa. Pat had 5 brothers 4 of whom are alive and have extended the longevity of the family tree.